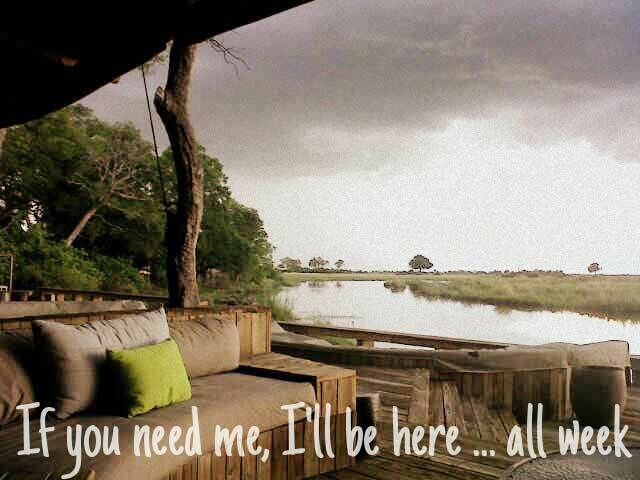 This is where I will be … One whole week in Botswana with my Rik. I am ridiculously excited … doesn’t it look like bliss? I’ll also be enjoying my 31st birthday there! Yeeeha! I’ll have some updates on my return. This entry was posted in Play and tagged birthday, botswana, holiday, Rik.